Workers' compensation is a system of benefits that employers are required by law to provide to their employees. It is available to nearly all employees who suffer an injury that arose out of and in the course of their employment. These benefits are available to the employee regardless of who is at fault for the accident. 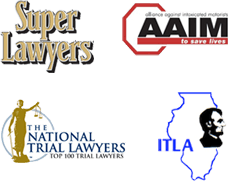 Almost every employee in Illinois is covered by the Workers' Compensation Act. Our skilled Chicago and Illinois workers' compensation attorneys have years of experience handling complex workers' compensation claims. Nemeroff Law Offices is a Chicago–based law firm concentrating in workers' compensation litigation in the Chicago area and throughout Illinois. We focus on the rights of the injured party against the insurance companies who would seek to deny benefits. Although simple to file, workers' compensation claims are extremely complex and should not be handled without an attorney. Someone who is untrained in workers' compensation law will not be able to properly value your claim. Furthermore, while the insurance carrier will often agree to pay benefits initially, benefits are often unjustly terminated for a number of reasons. The primary objective of insurance companies is to minimize claims and thereby maximize profits. They have attorneys and doctors on their side, and they often get a doctor's opinion that the employee's medical treatment is unnecessary or unrelated to the accident. This provides the insurance company with a basis to cut off benefits. In this situation, it is crucial to have a competent workers' compensation attorney who will fight to get your benefits restored. Sometimes, workers' compensation insurance carriers act unreasonably and deny legitimate claims or portions of legitimate claims. There are instances where the employers' insurance company will try to argue that the worker wasn't injured. They can also try to claim that the injuries claimed are not as serious as the employee and his/her doctor claims. If the employer's lawyers are successful, you, the injured worker, will lose important workers' compensation benefits. Those include payment of medical expenses, temporary total disability benefits while you are off work and a denial of the settlement of your workers' compensation case. You could also lose the ability to go through job retraining if you cannot return to your former job, but may qualify to continue working in some capacity. Having a quality Chicago workers' compensation lawyer like the ones from Nemeroff Law Offices can make all the difference in getting all the benefits you are legally entitled to. If you or a member of your family has been injured in a work–related accident, we can help. Contact the experienced workers' compensation attorneys at Nemeroff Law Offices online or call us at 312.629–8800 for more information or to schedule a free consultation.